Several hundred PSCers joined Wednesday’s (10/5/11) labor-community march in support of the Occupy Wall Street movement, which filled the streets of Lower Manhattan with well over 20,000 protesters. Update: The starting location for today’s (Oct. 5) community labor march in solidarity with the #OccupyWallStreet protest at Zuccotti Park has been changed from City Hall to Foley Square (between Duane St. and Center St.). 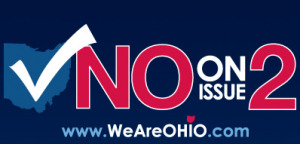 The AFT, our national affiliate, is looking for volunteers to assist in the labor-to-labor campaign to “Vote No on Issue 2.” Defeating Issue 2 will repeal SB 5 – Ohio Governor John Kasich’s attack on public education, public services and working families in Ohio. The campaign is looking for volunteers throughout October and early November. Friday, October 7 --- 8:30 am to 3:30 pm --- Elebash Recital Hall at the CUNY Graduate Center -- Fifth Ave. at 34th St.
Join us for a day of collective thinking about the challenges facing public higher education. Turn this time of disinvestment into an opportunity to germinate hope and activism for the future. What do you do at a rally when you are not granted a permit for a sound system? Answer: The speaker and rally participants combine forces. The speaker shouts out a sentence and those closest to her amplify and repeat it. Watch the video below as Barbara Bowen, with lots of help from fellow unionists, broadcasts a victory for adjunct healthcare (albeit a tentative first, but important step). Then check out a second video produced by Hunter film students. Adjunct healthcare: Take the issue to the 9/26 BOT meeting! Do the right thing! That’s the message we’ll deliver at 4:00 PM on Monday, September 26 when we rally at the CUNY Board of Trustees meeting at Baruch College. Please join us as we demand that CUNY provide a permanent structural solution to the crisis in adjunct health insurance before 1,700 of our colleagues lose their coverage. This is a campaign about more than just health care, it’s a campaign about the kind of employer and the kind of university CUNY is going to be—for full-time and part-time alike. 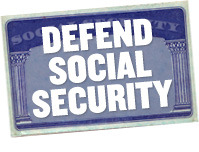 Four progressive senators will soon introduce a bill that will ensure that Social Security stays fully funded for another 75 years by lifting the cap on the payroll tax that funds Social Security. It's a simple and fair way to strengthen the program. September 11, 2011 is the tenth anniversary of 9/11. The anniversary is particularly poignant for the CUNY community. Please join your PSC sisters and brothers and their families in the Labor Day March on Saturday, September 10. We will gather on 45th Street between 5th and 6th Avenues at 10:15am. Recent sharp reductions in the stock market and Standard & Poor’s decision to downgrade the U.S. credit rating from AAA to AA+ may lead to increased market volatility. We’ve compiled some articles about S&P’s downgrade and how it may affect the market, as well as relevant links to PSC members’ retirement plan providers.